Many of the skills and talents of mental health and human service providers help to make these professionals successful entrepreneurs. Have you ever thought about starting your own business? If you have, this webinar is for you – especially if you have a talent or interest you enjoy teaching to others/clients. The benefits of having your own business. Reasons to consider a home-based business. Sunya W. Folayan, MSW,CFSW is a serial entrepreneur. She opened her first business- a private clinical practice more than thirty years ago. She is founder of a non-profit organization, The Empowerment Project and owns a visual and performing arts business. Additionally, she runs a franchised business from her home. Sunya advocates for everyone to develop multiple streams of income. 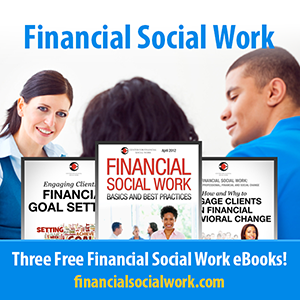 The post Webinar Recording: Entrepreneurship Basics For Human Service Professionals appeared first on Center for Financial Social Work.